Bubble Up Pizza Recipe | The easiest pizza recipe you will ever make! 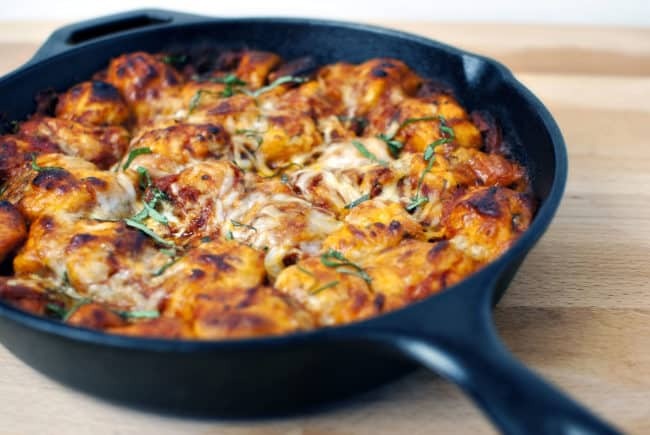 Bubble up pizza is a simple, one pan pizza dinner recipe made with refrigerated biscuits. There’s nothing fancy about it, but it’s always a fan favorite! We all love pizza, and this is a recipe my stepmother introduced to me when I was a teenager. Bubble Up Pizza is so easy to make, kids can do it and it uses just a few common ingredients that are easy to keep on hand. Now, as an adult, I make this for friends kids or as appetizers for when I have company over for games or movies. It’s a fun easy recipe! One of my tried and true favorites. For starters, Bubble Up Pizza is a quick and easy baked dish that I totally made countless times as a teenager. A fast and easy snack that anyone can toss together, it’s essentially refrigerated biscuit dough chopped up and tossed with all your favorite pizza ingredients. Thinks pizza meets casserole. 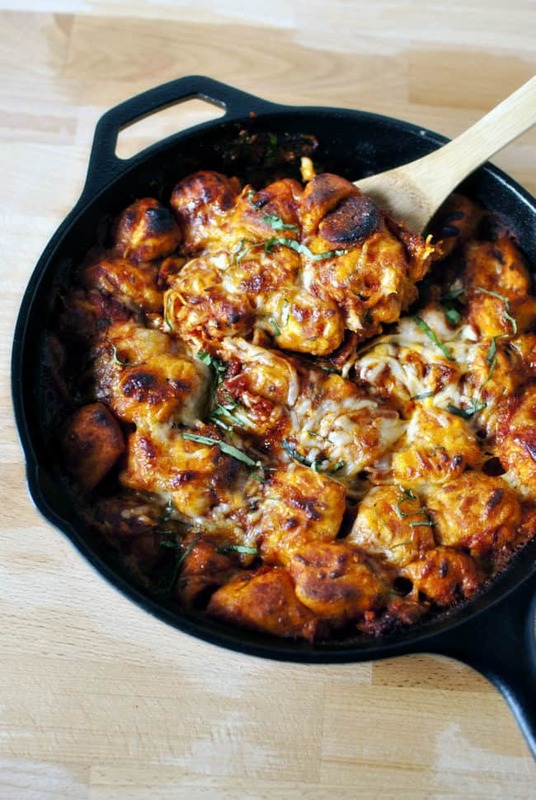 Or pizza meats pull apart bread. It’s a perfect recipe to get kids in the kitchen cooking or to share with hungry teenagers. 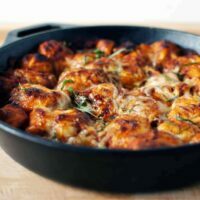 I have seen mention of it everywhere from Pampered Chef to old school cookbooks – so I claim no origin here, just that this was a recipe taught to me by my stepmother as an easy kid-friendly meal. Because you’re using biscuit dough, it doesn’t require much prep time. And a warning – it’s light as air! So you’re going to totally eat more than you expect to! The recipe for bubble up pizza requires refrigerated biscuits. You can use Grands, and if they are large, make sure you aren’t using too many. But I like to hunt out the original small biscuits that Pillsbury used to make. They are getting harder and harder to find, as the Grands get fluffier and fluffier. 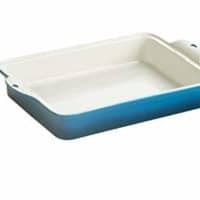 This works with any refrigerated biscuit dough, just make sure you’re cutting the dough into even portions for even baking. I love saving money and stocking up on the biscuit dough when they are on serious sale! This makes Bubble Up Pizza a crazy cheap meal for the family. I grab the tubes of dough when they are 4 for $2 and then use homemade pizza sauce to pinch pennies. Dinner on a dime, and delicious? Yes, please. Grab the recipe below and make your own version of bubble up pizza. I love showing this recipe to kids, its hands on and FUN. and toppings, like pepperoni, mushrooms, sausage and any other of your pizza favorites! Breakfast Pizza – Because wouldn’t you rather have a warm breakfast pizza than cold leftover pizza? Thin-Crust Skillet Pizza for Two – This pizza could also be a thin-crust skillet pizza for one. Just sayin’. Farm Country Grilled Pizza – If you’ve never cooked a pizza on a grill, you have to try this recipe! Personal Grilled Taco Pizzas – This is for pizza on Taco Tuesdays. Or it could be for Saturdays, too. If you’ve tried my Bubble Up Pizza recipe or any other recipe on passthesushi.com please don’t forget to rate the recipe and let me know where you found it in the comments below, I love hearing from you! You can also follow along for more good eats and travel tips on instagram @passthesushi & @girlcarnivore, Twitter & Facebook. Easy to make and kid approved, Bubble Up Pizza is your new favorite spin on everyone's favorite food! Preheat oven as per directions on dough. With a sharp knife, divide each biscuit into 4. 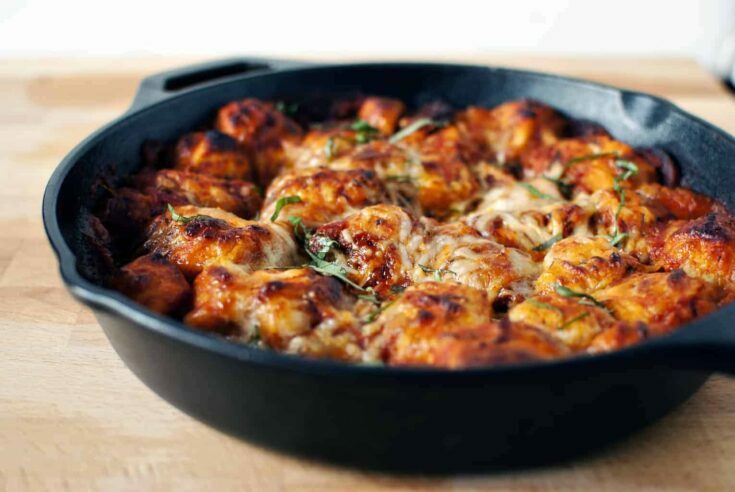 In a large bowl, combine diced biscuit dough, sauce, 1 1/2 cups cheese and toppings. Stir to combine. Pour mixture into greased oven safe skillet or 9×13 baking pan. Chop the basil and sprinkle on top along with remaining cheese. Bake according to directions on dough, checking to make sure dough is cooked through and cheese is bubbling (I always bake mine for an additional 5 minutes. Use your favorite pizza toppings and sauce combinations to customize this recipe! Just like classic pizza, anything goes! 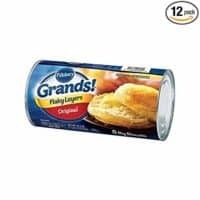 Pillsbury Grands Original Flaky Layer Biscuit, 16.3 Ounce - 12 per case. I’ve never seen bubble up pizza but I love it! What a delicious and easy meal! This is so cool! And delicious! I like to keep it simple sometimes and you’re right about it not always having to be complicated, time consuming and elegant … this looks elegant enough to me 😀 Serve it with a nice glass of chilled white wine …. elegance … it’s all relative. That looks so amazing and easy! For sure on my to-cook list! Thanks for posting! I have never seen this before – what a great idea! Super quick and easy dinners are great to have in your back pocket! I love how this is filed under “fat kid friendly”. Certainly looks like something I’d enjoy! That is so awesome! So creative yet so simple. It looks cheesy and completely satisfying! This sounds delicious! Pepperoni and basil … even better! Oooh a new quick and simple dinner recipe. I’ve never heard of a pizza like this but it looks delicious and so easy! Hello! This looks awesome! Such a cool idea, and you’re right — some of the best food isn’t elegant at all. Love this recipe. This is seriously the most ingenious meal ever. I LOVE it! I’d just pick it apart with my hands and eat it. Thank you so much for this great idea! I’m going to start stocking biscuit cans in my fridge just so I can make this bubble pizza on days I don’t really feel like cooking. Thank you for introducing me to this pan of yummy goodness!! I am mesmorized…and my tummy is growling! From someone that is a hour from the nearest pizza place, thank you for posting such a delicious and easy recipe. My stomach will no longer have to endure relentless pizza cravings. Great enticing photos and recipe! This is an intriguing idea. It seems like the flavors are the same, it is just lighter and more interesting looking than normal picture. I will definitely have to try this out! Thanks. Gonna have to try this for the solar oven demonstrations! Fun to make; fast to cook; and folks would love to taste it! Thanks for the recipe. Come visit when you can and enter the give-away! Such a great idea. I think that this is something that my girls would love and I love the ease of making it. Your step-momma is one cooking genius. Can’t believe I’ve never thought about using biscuits this way before. OH! That looks really tasty! I definitely want to make this in June! My children would love this! Thanks for sharing the recipe. Oh, gosh, my kids would LOVE this! So easy to whip up when hubby and I have a night out…but I think I’d need to make a double batch so I could have a slice, too. GREAT idea. What a fabulous and delicious recipe! I will have to try this! I love you site very much! I hope you visit me soon! I have never seen this before. It certainly looks quite and simply. I normally need one of these every week. Thanks for sharing this is definitely going to be on the list next week. yet another reason i need to always have biscuit dough in the fridge! Man, this looks fantastic. I think my family will love this dish. Seriously can’t wait to try this! It could become an addiction! Maybe I’ll try replacing the one cup of pepperoni with like, four cups of grilled veggies! Zucchini, eggplant, bell peppers, corn, red onion… yum! Oh my word… this sounds amazing! I’m so making this! I made this last night! Thank you~ it was yummy!!! I tried this today for some friends and roommates after a hectic day. It was amazing! I halved the recipe and used sliced mushrooms, salami, and chopped green bell peppers. I didn’t have fresh basil, so I sprinkled some dried basil and fennel seed. It was really good and in very high demand with my biscuit-loving housemates. I only wish I had a slightly bigger pan because the one I used didn’t allow it to spread out evenly so some parts were a little more soggy than flaky after it came out. But this is a very excellent recipe. I’ll definitely try it again. Thanks for sharing!!! An interesting combination. Would be a great recipe for kids to try. I’m making this today to have during football. Thanks for the fun recipe! We just made this tonight. It was so amazing! Thanks for sharing! what size pizza jar do you use? Actually, this is a ‘whatever’s on hand’ recipe. It is usually the smaller size jar, smaller then spaghetti or marinara sauce. Probably about 10oz. But toss in as much or as little as you like. 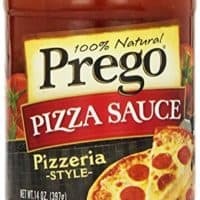 I love pizza sauce so I have been known to use tons more if I am making this just for family and myself. Hi!! We are featuring these on our menu plan this week!! They look absolutely delicious!! I'vr never seen this either, but it sure looks good, and really – how easy is it? my friends mom use to make this when I would sleep over and I never could remember how it was made thank you so much for having it. I may have done it wrong, but I cooked mine in a big cast iron skillet. The top burnt and the biscuits underneath were still raw. I used Grands instead of regular biscuits so that could have been the problem. i’m sure this is delicious. right now i wouldn’t know b\c i just put it back in the oven for the THIRD time b\c the biscuits are STILL not done. so right now i’m at twice the baking time on the can of biscuits- and i have a new oven. maybe an fyi for some people. i’m sure it’s yummy. it certainly smells good! I have been baking mine for about 28 min so far. It looks good but it’s taking a lot longer for me too. Mine also cooked for much longer- 35 minutes and it probably could have gone another five but we were too hungry to wait!!! Gonna decrease amount of biscuits next time to see if it helps… it was as yummy as promised though! I just made this for dinner tonight and it is all GONE!!! I put a layer of cottage cheese for protein on top of the dough before the top layer of sauce and then cheese. It was so good!! This was great; thank you! My Bubble Up Pizza is in the oven! I’m a bit concerned about it cooking all the way through but I’m keeping an eye on it. I used 2 cans of Grands (what I had in the fridge) and essentially doubled everything. It’s in a 9×13 pan – made a lot but there are six people here to feed (one a hungry teenager). Serving with salad and I can’t wait! The only change I would make next time is to put the fresh basil on after it comes out of oven. 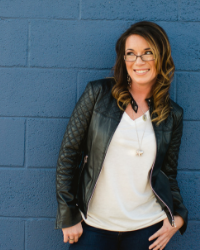 Mmmmm……..what a fun recipe! Hi Marlene, I hope your bubble up pizza came out great! This is great! I had never thought of doing this, but the kids loved it. Easy motivation to keep a tube of biscuits and jar of sauce on hand at all times.